Facebook CEO Mark Zuckerberg often came across as one of the smartest people in the room as he jousted with U.S. lawmakers demanding to know how and why his company peers into the lives of its 2.2 billion users. 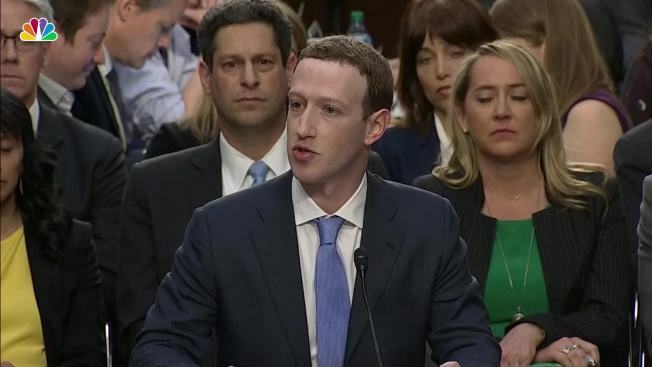 But while some questions were elementary, others left Zuckerberg unable to offer clear explanations or specific answers. A series of tough inquiries about how much personal information Facebook vacuums up on and off its social network seemed particularly vexing for Zuckerberg, who couldn't quantify it. He was vague about whether Facebook was a monopoly and whether it would offer an ad-free option, as well as about how the company could offer the same level of privacy protection to users around the world. Zuckerberg squirmed when pressed about a 2011 agreement with the Federal Trade Commission that was designed to force Facebook to tighten its privacy controls. While maintaining that Facebook had adhered to the terms of the settlement, Zuckerberg repeatedly conceded that the company still made mistakes that led to the personal details about 87 million Facebook users being turned over to Cambridge Analytica, a data-mining firm tied to President Donald Trump's 2016 campaign. Prodded by the Cambridge scandal, the FTC is now investigating whether Facebook violated their agreement. If Facebook did, it could be fined $40,000 per infraction. Lawmakers also got Zuckerberg to acknowledge that government regulation of Facebook and other internet companies is "inevitable," although he was vague about what kind of rules he believes are needed or what he would support. He brushed off suggestions that Facebook has built a monopoly but didn't identify the company's competitors. Instead, he asserted without elaborating that "the average American uses eight different apps to communicate with their friends and stay in touch with people." 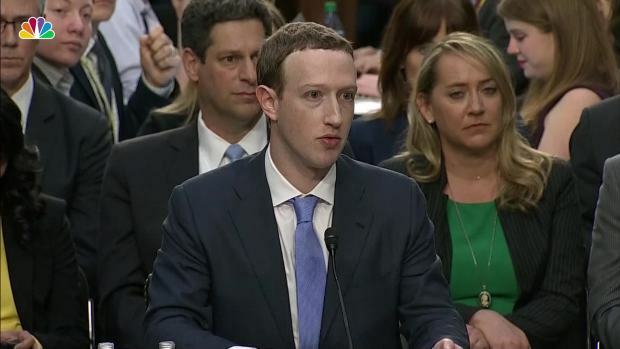 He didn't mention whether those other apps included Facebook's own Messenger, as well as Instagram and WhatsApp, which are also both owned by Facebook. Zuckerberg also didn't rule out the possibility that Facebook might eventually offer a version giving people the option of paying a monthly fee in exchange for not having their personal information mined for advertising. Sheryl Sandberg, Facebook's chief operating idea, floated the idea in an interview with NBC before Zuckerberg appeared in Congress. Although Zuckerberg didn't elaborate, the concept would be similar to what both video-streaming service Hulu and music-streaming service Spotify already do by offering a free version supported by ads or a commercial-free version that requires a subscription. Zuckerberg emphasized that Facebook will always offer a free version of its network. But Facebook's business model, as Zuckerberg repeatedly explained in his testimony, depends upon ads shown to people based on the interests they share on the network. That strategy generated $40 billion in ad revenue for Facebook last year, helping to make it one of the world's most valuable companies just 14 years after Zuckerberg started the business in his Harvard dorm room. Zuckerberg also wasn't clear on how the company would offer all users privacy protection equal to that offered by European Union regulations taking effect next month. While he's said he supports the General Data Protection Regulation, Facebook probably isn't following those rules quite yet. "Don't say we already do what GDPR requires," one passage from his cheat sheet reminded him. Rep. Steve Scalise, a Republican from Louisiana who is a former computer programmer, focused on how extensively Facebook tracks on users who aren't logged into the network or don't even have an account. Zuckerberg had said that such data is collected for "security purposes," for example to flag unauthorized users trying to log in. Scalise, though, asked if the data is also used as part of Facebook's business. Zuckerberg said he believes the company collects "different data for those" and would follow up with further details — a line he frequently fell back on when he didn't provide a direct answer. The CEO also seemed ignorant of the term "shadow profiles," a commonly used term in technology that refers to data that Facebook collects about people who do not have Facebook profiles. 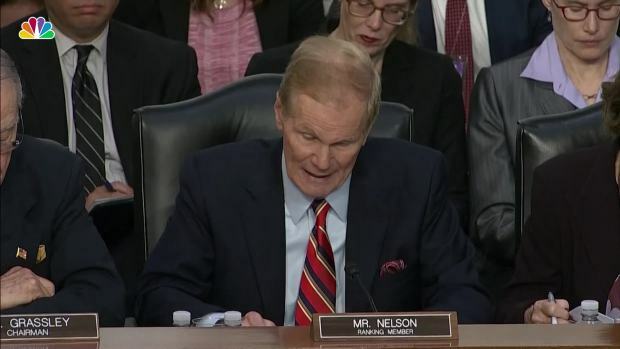 Rep. Ben Lujan, a Democrat from New Mexico, asked Zuckerberg, "How many data points does Facebook have on each Facebook user?" After Zuckerberg said he didn't know, Lujan enlightened him. "So the average for non-Facebook platforms is 1,500," the congressman said. "It's been reported that Facebook has as many as 29,000 data points for an average Facebook user. You know how many points of data that Facebook has on the average non-Facebook-user?" Flummoxed, Zuckerberg resorted to a common response. "I can have our team get back to you afterwards." 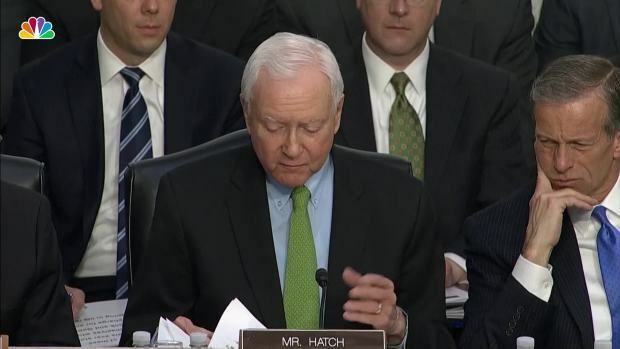 Based on the number of times he gave that answer, Zuckerberg and his team have many answers yet to provide.